For the first time since his departure in 2012, ex-CEO of BlackBerry Jim Balsillie recently spoke about the company and its decline in the mobile market. 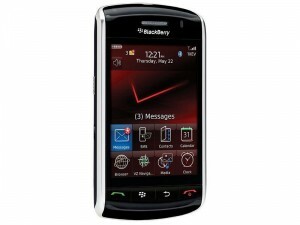 He admitted that the 2007 introduction of the Apple iPhone was the ultimate reason behind BlackBerry’s failure. Balsillie says he knew the company could not compete. He also explained that fear of Apple’s new device caused BlackBerry to rush the release of its touchscreen smartphone, the flawed BlackBerry Storm. The Storm resulted in a 100 percent return rate for Verizon, which caused the carrier to demand $500 million in compensation. At the same time as this was happening for BlackBerry, Android was gaining popularity in the smartphone industry. Balsillie said that this was why he pushed for BlackBerry to release BBM on competing platforms, given that the company was making most of its money from services rather than actual phones. However, BlackBerry did not do this until after he had left, and by that time other services such as WhatsApp had made BBM redundant in the instant messaging market. Despite his admission of near defeat, Balsillie remains loyal to BlackBerry, and still uses his BlackBerry Bold and Playbook. “You’ll have to pry it away from my cold, dead hands,” he said.